One of our adult Sunday school classes has been working through the biblical book of Revelation, learning about eschatology (“end times”), and what Christians ought to believe and practice to be faithful to the Lord Almighty in those challenging times. 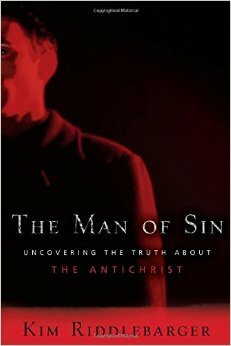 One topic we have not gotten to in great detail yet is the subject of the Antichrist. Mentioned in a few different passages – including II Thessalonians, I John, and Revelation – the idea of Antichrist inspires curiosity, fear, and a whole host of emotions in Christians. Especially through Hollywood, speculation about Antichrist tend toward unbiblical ideas that do not help believers face these ideas with boldness, fearlessness, and faithfulness. Thankfully, God has raised up several teachers of the faith to help us. One such teacher is Dr. Rev. Kim Riddlebarger, pastor of Christ United Reformed Church. Dr. Riddlebarger has written a great deal about end times issues, including A Case of Amillenialism: Understanding the End Times and The Man of Sin: Truth About Antichrist. Both of these books are tremendous aids in helping us understand what God’s Word has to say about these things. Lecture 1: Antichrist – Past, Present, or Future Foe? You can find more of Dr. Riddlebarger’s writing at his website, as well as all of the recordings here. This entry was posted in resources and tagged Antichrist, end times, eschatology, Reformed theology. Bookmark the permalink.